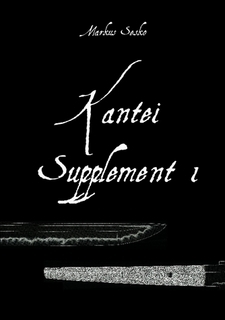 The first supplement volume to my set Kotô-kantei and Shintô & Shinshintô-kantei is out now. It contains 61 blades (koto, shintô and shinshintô). A second supplement volume will not be published before the very end of the year. It can be obtained at Lulu.com via this link. There is also an eBook available here. And the German version can be found here.